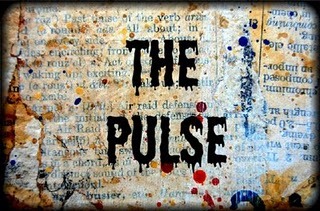 Welcome to the 5th edition of The Pulse -- The State of the Art -- a survey in words and pictures of the online artist community. The Pulse is a collaborative project that aims to introduce you to new artists, help you get to know familiar faces even more, and allow you access into the creative hearts and minds of a very talented crew of individuals. More than 130 artists have answered a series of questions which make up The Pulse. Their responses will be presented in a series of online posts which will run every Sunday. 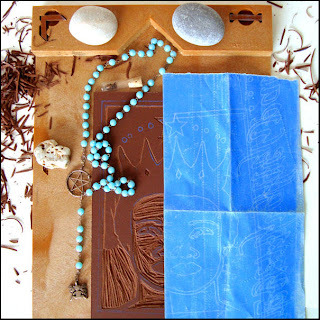 Participants were asked to photograph a still life that you create using an array of objects. 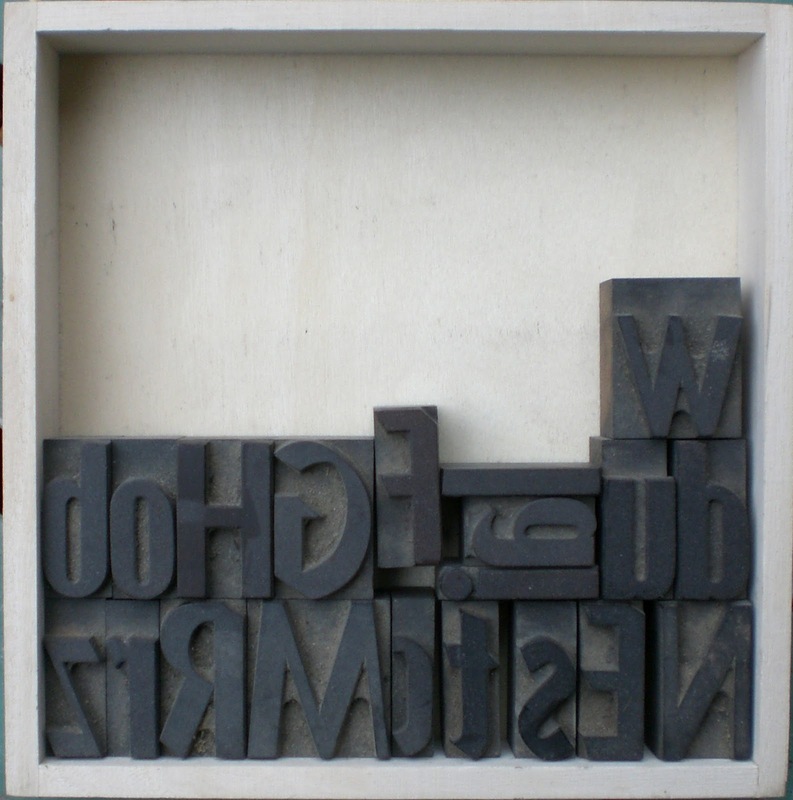 "I love letters in any form!" 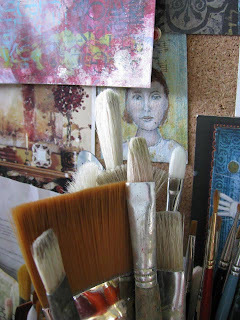 "This photo is a tiny spot in the studio where my paint brushes stand in front of an inspiration board. 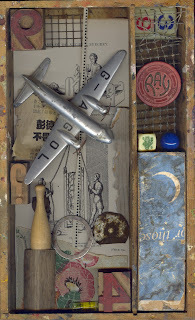 The background image on the board is an ATC I painted." "My guest bathroom is filled with interesting items...so no one gets bored while visiting." "I used the scanner as a camera for this and put objects on the scanner - including my hand - and then I altered it in Photoshop." "This is my minimalist version." Next "It's Still Life" will be held on Sunday, July 15th. Angela Cartwright's guest bathroom is a tranquil beauty spot! Incredible still lives! I would love to see each one up close!! Love the guest bathroom. A friend of mine used to hang in his a collection of kachinas. Rather haunting. He also had a small Warhol that he'd found in the trash outside the Factory when he lived in NYC and built stretchers for other artists. As a high school art teacher I had lots of practice, each year, creating a large still life in the middle of my classroom, for my intro classes to draw. 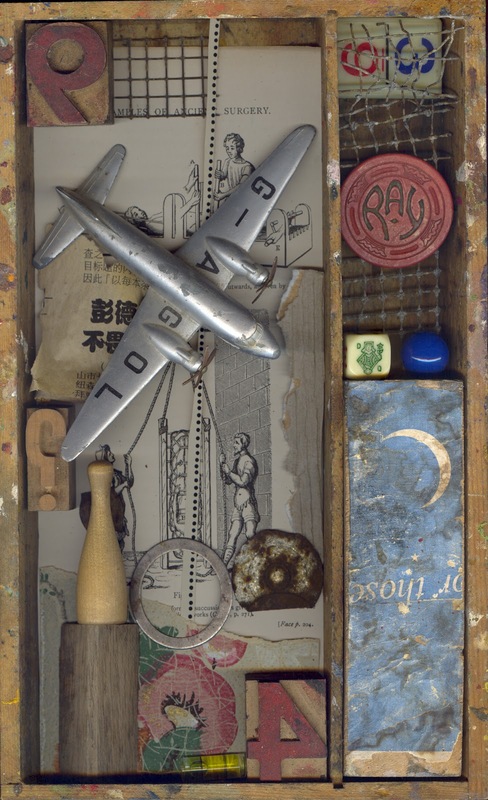 The shadow box piece I submitted as a still life for The Pulse, edition 5, is a smaller version of the kind of eclectic mix of objects I tried to incorporate when setting up this arrangement for my students. I am a letter nut, as well, so Marion's collection of wood block type, here, really appealed to me. I love the shapes created by the negative spaces between the letters, and the contrast between the letter forms at the bottom, and the white space at the top. 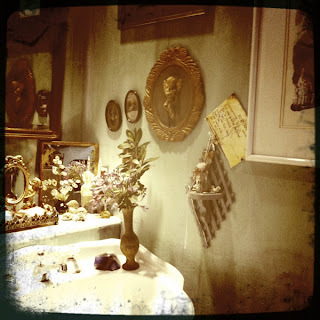 Angela's 'golden' guest bath would be a delightful still life that could be entered and experienced. 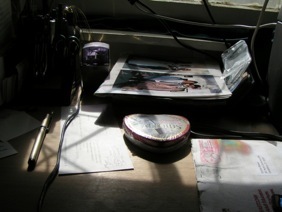 Cyn's "Things on my Desk" makes terrific use of light and shadow, and demonstrates, as does Nelda's brushes and inspiration board, that simply stopping to take a look at our everyday surroundings can generate some visually pleasing collections of objects. 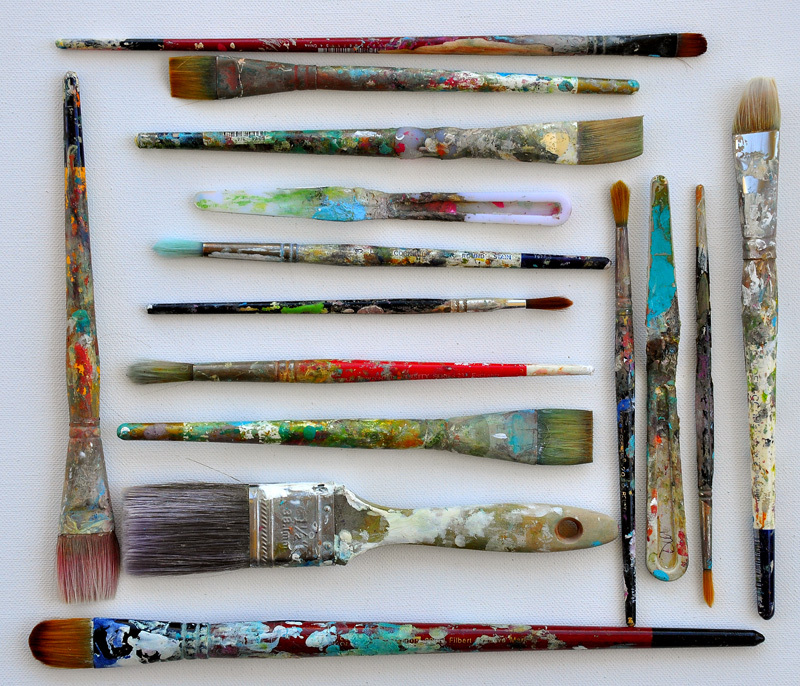 Dina's painterly-colorful collection of wonderfully spattered paint brushes, is a delight. Something about the combination of the casual spatters and textures on the brushes, and their very formal arrangement, says it all. 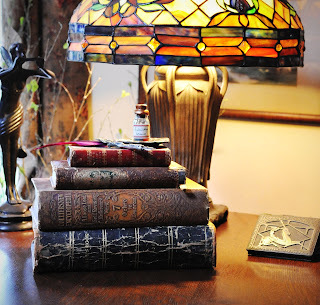 Love the texture on the spines of Leslie's neatly stacked books on a table, and the warm glow created by the stained glass lamp. 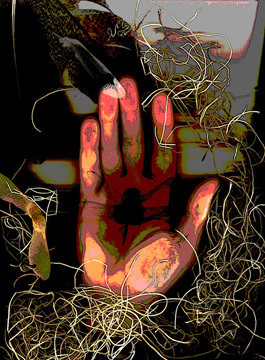 Great colors and textures abound in Terry's photo shopped, 'scanner' "Still Life With Hand." Kesha's still life, incorporating a linoleum block with shavings, necklace, and stones has lovely color contrasts with greys, terra cottas, and turquoise. 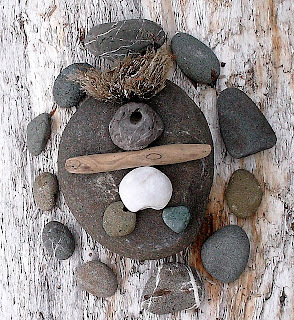 Pam's circular arrangement of natural objects-stones and wood feels like a kind of ancient talisman. Marie's simple, minimalist reflection, is a peacefully floating meditation. Another inspiring set of personal visions, Seth. Thanks so much! Interesting finds. These trinkets and stuffs are worth a close up look. Hope I can see these in person. Spent a very pleasant time visiting this lot Seth..thanks. Angela Cartwright's site is AMAZING! 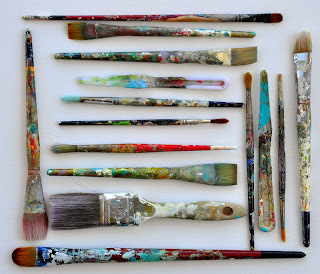 A great post again filled with such interesting and creative still life works! Terry Garrett's piece struck a chord with me. Although I am destitute, I am lucky enough to possess a $100 printer/copier/scanner. I'd be lost without it. Still life works really brings character into a space. It's simply amazing.